Nova Pioneer is looking for a superstar Procurement Intern. This is an opportunity to create a transformative brand with the future of Africa’s youth at stake. Imagine a world in which every young person across Africa attends a school that truly sets them up for success in the 21st century. A school that cares about individual students and allows them to explore the world around them. A school that focuses more on developing skills than on memorizing content. 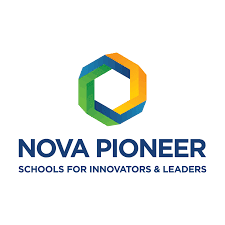 At Nova Pioneer, we have done more than just imagine this future, we are bringing it to life. · Maintaining an updated register of vendors. · Help generate PO’s and dispatch to vendors. · Any other duty as may be assigned to you by your supervisor. · You have at least 3 months to 1-year experience. · Diploma in Purchasing and supplies or any other related relevant field. · You are a great communicator as well as have good negotiation skills. · You are results driven: You are goal oriented, move fast and take ownership of work. · You are entrepreneurial and empathetic. You are able to understand the various Nova Pioneers’ stakeholders and think creatively about how to effectively communicate to them. · You possess a growth mindset and a desire to continually improve through feedback, coaching, and professional development. Duration: 3 months with a possibility of extension. · Liaising with science teaching staff on their needs for practical work and maintain an efficient system for use and allocation of materials and equipment, setting a priority system where necessary. · Advising science teaching staff on technical components of curriculum. · Assisting science teaching staff with demonstrations. · Assisting science teaching staff in instructing students on use/care of equipment. · Advising and assist science teaching staff in safety matters relating to the science laboratory. · Demonstrating laboratory techniques to science teaching staff/students. · Setting out equipment and materials for classroom/department. · Using clear classroom demonstrations. · Maintaining a safe chemical storage/handling/disposal system in accordance with current regulations. · Assisting with security of the science laboratory and equipment. · Maintaining an inventory of equipment and annual stocktaking. · Keeping a record of the consumables used regularly and maintain adequate supplies of them (including chemicals). · Acquiring relevant catalogues and price lists. · Ordering equipment and chemicals in consultation with the manager. · Assisting with labelling, storage, stock-taking and ordering of equipment and chemicals. · Servicing and clean simple laboratory apparatus/equipment. · Developing maintenance procedures for laboratory equipment and organize maintenance where required. · Reporting damages to equipment and arrange repairs. · Conducting safety audits for the laboratories. · Evaluating and select equipment, and make recommendations for purchase to Science Coordinator. · Diploma or certificate in Science Laboratory Technology in Physics, Chemistry and Biology from a recognized institution. · You possess 1-3 years of working experience in a recognized secondary school or equivalent institution. · You are able to prepare students’ practical work up to 8-4-4 level with minimum supervision. Does working at Nova Pioneer excite you? If so, then apply now! · Managing our students’ wellness and development and offering them psycho-social support as needed. · Handle confidential situations, information and documentation. · Inspecting boarding house facilities (toilets and bathrooms, laundry area) when pupils are away from the facilities and appraise the level of hygiene and cleanliness. · Monitoring standards achieved by cleaners and other support agencies within the Boarding House and report on any deficiencies to the Director, Operations. · A professional, flexible and conscientious registered nurse with the ability to build a harmonious, energetic and cohesive relationship with students and co-workers. · Professional counseling skills with a proven track record will be an advantage. · You are willing to work as a locum nurse in our secondary school. Please note: Where a copy of your resume is required, copying and pasting from a formatted document e.g. Microsoft Word may not result in the formatting transferring correctly to the final resume. You are encouraged to attach your resume in Microsoft Word® or PDF format to protect formatting. You will be mainly responsible for telling the Nova Pioneer story to various stakeholders, creating awareness and representing the Nova Pioneer in the community. The role is based in Kenya. · Assist in the understanding of the customer mix, segmenting them, designing and executing an effective engagement strategy based on this analysis. · Assist in developing a new lead generation strategy by understanding how and where to connect with partner organizations, and creatively designing engagements that optimize our effectiveness. · Assist in organizing and executing Nova Pioneer’s external events that creatively encourage increased engagement with Heads of Schools, teachers and corporates among others. · Constantly seek new outreach opportunities for Nova Pioneer to connect with different (but relevant) audiences to raise the profile of our brand in Kenya. · You have at least 3 months to 1-year experience building and managing important relationships in marketing, communications and/or business development positions. · Diploma/Degree in Commerce/Marketing/Business Administration or any other related relevant field. · You are a great communicator: You are able to provide a clear and persuasive pitch to anyone and have excellent written and verbal communication skills. · You are passionate about providing excellent education at an affordable price even if you haven’t worked in education before. · Be responsible for understanding the customer mix, segmenting them, designing and executing an effective engagement strategy based on this analysis. · Be responsible for developing a new lead generation strategy by understanding how and where to connect with partner organizations, and creatively designing engagements that optimize our effectiveness. · Organize and execute Nova Pioneer’s external events that creatively encourage increased engagement with Heads of Schools, teachers and corporates among others. · You have at least 3 years experience building and managing important relationships in marketing, communications and/or business development positions. · Bachelor’s Degree in Marketing/Commerce/Business Administration or any other relevant related field. · You are entrepreneurial and empathetic. You are able to understand the various Nova Pioneers stakeholders and think creatively about how to effectively communicate to them. · Provide a safe and secure environment for children to feel comfortable. · Plan and execute appropriate activities for the children each day according to the curriculum, schemes of work and lesson plans. · Provide a variety of materials and resources for children to explore, manipulate, and use, both in learning activities and in imaginative play. · Instruct and monitor students in the use and care of equipment and materials, in order to prevent injuries and damage. · Organize and lead activities designed to promote physical, mental, and social development such as games, arts and crafts, music, and storytelling. · Prepare materials, classrooms, and other indoor and outdoor spaces to facilitate creative play, learning and motor-skill activities, and safety. · Observe and evaluate each child’s progress and provide a written report to the Principal, other school leaders and parents. · Monitor and keep record/ reports of the children’s progress and development. · Instruct students individually and in groups, adapting teaching methods to meet students’ varying needs and interests. · Assimilate arriving children to the school environment by greeting them, helping them remove outerwear, and selecting activities of interest to them. · Establish and enforce rules for behavior, and policies and procedures to maintain order among students. · Plan and supervise class projects, field trips, visits by guests, or other experiential activities, and guide students in learning from those activities. · Attend professional meetings, educational conferences, and teacher training workshops in order to maintain and improve professional competence. · Assist in bus loading and unloading. · TSC certification and relevant Degree in Education/ P1 Diploma. · Plan activities that meet the social, physical and emotional needs of the children. · Develop scheme of work and lesson plans in line with the school curriculum. · Schedule stimulating and learning activities for the children. · Prepare teaching aids to facilitate children learning. · Devise games and activities, and also provides playing equipment, and ensure the playing facilities and equipment are clean and safe. · Supervise the children as they learn and play. · TSC certification and Degre in Education/ Diploma in ECDE. Does working at Nova Pioneer excite you? If so, then apply here Now! We are looking for an exceptional individual to lead the Primary school in Nairobi that will open in Athi River in late 2018. This school will be our fourth in Kenya and will enroll more than 1,000 students as it grows over the years. As the founding headteacher of this school, you will play a critical role in shaping the culture and student experience within an institution that will play a critical role in the community for decades. You will also actively collaborate with other academic leaders and school leaders across both South Africa and Kenya, including through regular travel, to use the experience in your school to improve the overall Nova Pioneer education model. We will invest heavily in your professional growth in this important role. You will receive significant training prior to assuming the position, including by spending time shadowing current school leaders in the network and participating in other aspects of our academic system. Once you are in the position you will receive consistent coaching from our academic leaders who have worked in top schools around the world among other professional development activities (this year our school leaders went on an extensive tour of great, innovative schools in the United States). As headteacher, you will be responsible for ensuring the realization of Nova Pioneer’s vision in your school. This will include a heavy focus on developing and leading an exceptional school culture. You will also spend a large portion of your time developing your teaching team into world-class educators who deliver great inquiry-based education for your students and who are ready to quickly move into leadership within the Nova network. · You have 7+ years of experience in a rigorous, high-expectations school setting including instructional leadership roles (e.g., deputy headteacher, teacher coach, etc.). Experience as a headteacher is highly valued but not a prerequisite. · You are widely recognized as a highly effective teacher and can model what great, inquiry-based teaching looks like. If you don’t have teaching experience, you are instructionally passionate and have a desire to learn and entrench yourself in the Nova approach to teaching and learning. Applications will be reviewed on an ongoing basis until the right candidate is identified. Only qualified candidates will be invited for interviews.